I used my Samsung NX1 and my old Tokina 400mm f/5.6 on a small tripod sitting in the front passenger seat. I also had a varialbe ND filter on the lens. There was a lot of wind, but luckily these days the sun is high in the sky that I could point the camera up to see the sun, then just keep panning sideways after the sun as the two hours of the event passed by. 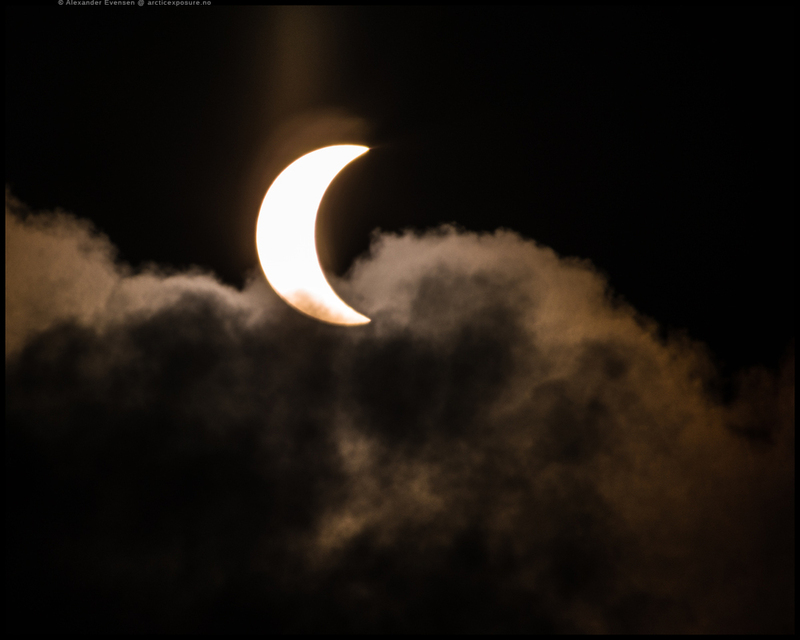 Here are the images I edited, and below is a bad time lapse of the eclipse of the Midnight Sun I captured in 2011 with my Pentax K-5 and the Pentax DA* 60-250mm which I had back then. The reason I label it as bad is that I managed to forget to turn AF off.